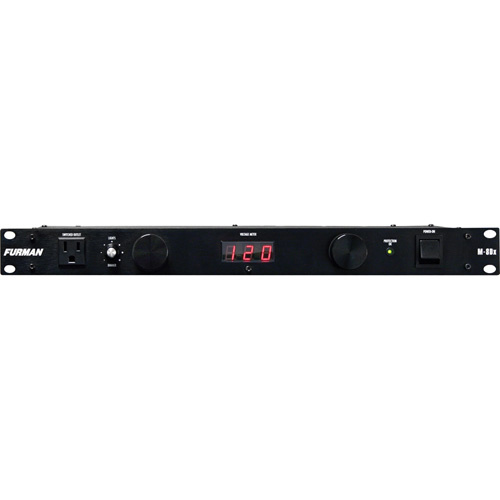 Furman Sound M-8DX Merit Series Power Conditioner with Digital Meter is the perfect low-cost AC power solution for any rack mount system. 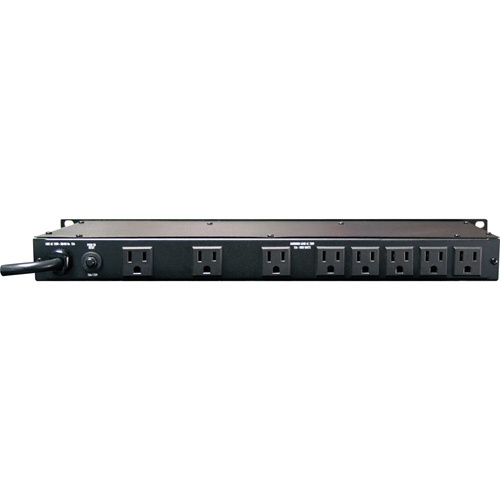 Install an M-8Dx into the top slot of your rack, and the eight switched outlets in the rear panel will power up and protect all your equipment up to a 15-amp load. The M-8Dx features two slide out, swiveling light fixtures to provide discreet illumination of your equipment on stages, in studios, and in other dark places. A dimmer knob lets you adjust the lamp brightness to just the right level.The M-8Dx also features a bright red, three-digit LED volt meter that displays incoming voltage.